High quality, inexpensive and durable, our custom printed lanyards offer a continuously visable impression of your company name and logo. Personalised lanyards are multi-purpose advertising tools that appeal to organisations and businesses of every type, either for employee use or as promotional gifts. Promotional lanyards are commonly ordered for conferences, trade shows, charities and events. Personalised lanyards are also popular with schools, colleges, healthcare services and other organisations within the public sector. Retailers use lanyards as an effective way of visually separating their employees from their customers. 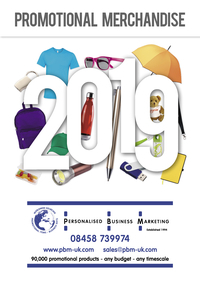 PBM branded lanyards can optionally be fitted with card holders printed with your logo, clips, badges, USB flash drives, water bottle holders and mobile phone holders. Send us your logo for free visuals. All custom printed lanyards are supplied with a plastic safety break feature to ensure they come away from the neck if the wearer was to become entangled. Lanyards are a cost-effective, versatile promotional item that displays your company name and logo. Promotional lanyards are worn around the neck, which means your brand name is on show at all times. Promo lanyards are one of our most popular promotional gifts as they are purposeful, durable and provide highly effective advertising. We supply the full range, from polyester screen printed lanyards to recyclable eco-friendly lanyards. If you are looking for highly-detailed, full colour designs, we recommend our UK-made dye sublimation lanyards. Express service is available for customers who require promotional lanyards in a hurry. Employees like wearing branded lanyards due to the practicality of the product. Lanyards offer employees a durable name tag and company ID, with the added practical advantage of being able to take it on and off with ease. Branded lanyards are a continuous advert for your organisation or business, wherever your employees go throughout the day. For retailers, lanyards clearly separate employees from customers, with instant personal identification and brand recognition, as well as adding to your professional image. Use our simple order process to design your virtual custom lanyards online, or we will be happy to create the design for you.